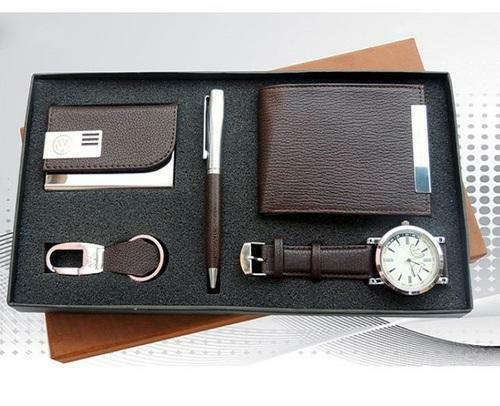 Corporate gifts are a great way to build relations with clients and stakeholders. It tells them that they are important for your company. It gives them a sense of quality and respect. And it’s the quality and networking that drives a business forward. Effective corporate gifts are the best way to ensure your company is in the right eyes. It may seem easy to pick a product and slap a company sticker on it. But it doesn’t work like that. Just like any business activity, you need planning and strategy to make the effort successful. To make it easier for you, here are five simple tips for corporate gifts that are effective. Put yourself in the gift receivers position and consider this, would you love receiving the item that you chose? If yes, then it will be a good going. Your client or supplier is a human,after all, they also like nice things. Just like everyone else, they also like gifts that actually worthy of receiving. Gifting out some cheap stickers to your biggest client is not a bright idea. It’s simple, gift items that are useful; an item that they would love to use every day. If it’s a use and throw piece, then you better not consider it. If the item can add some value to their lives then your efforts were successful. Many online corporate gift stores have a myriad of options. It can get overwhelming but focus on items that are generally more useful to people. Don’t cheap out either. This will only give you a bad reputation. It is easy to get carried away and order an item with your company logo covering half of it. Keep you company details discreet. It should be placed on a small corner and not plastered over the whole body. It is better to go for fewer, better-designed gifts than a lot of cheap stuff. It’s especially important on special occasions like anniversary or farewells where they want your wishes and not a cushion with your company’s logo. Today, businesses are done across borders and cultures. It is common to have customers, clients, or suppliers from all over the world. You gifting traditions may not be suitable for them. Before placing the order for any corporate gift, do a small research on what are the cultural norms in your client’s area. It can get embarrassing to send a red bag to your Japanese client when you will realize that red it the color of death in Japan. If you want to go for the most effective gifting route then this it. If you and the receiver have the time, then deliver the gift personally. It makes them feel special and ignites a respect for you in their hearts. It tells them that you consider them important for your business. You don’t have to present the gifts personally to every client. Just choose the important ones. When making such choices, always consider making arrangements for the delivery. You don’t want to give a surprise visit when they are having their annual board meeting.